In a previous blog post, I talked about 5 incredible ways playing the piano helps strengthen your mind (you can find that post by CLICKING HERE). In this post, I want to let you in on four awesome ways the piano also helps keep your body happy and healthy – the piano truly is a miracle instrument huh? If you can make playing the piano a small, but consistent part of your daily routine, it can actually fight against the adverse effects of aging. Research has shown that piano playing increases the levels of the Human Growth Hormone in older adults, sometimes by as much as 90%! Human Growth Hormone isn’t just for body builders – in fact, when produced naturally, it helps fight against wrinkles, aches, pains, and osteoporosis. Studies have found that “piano performers have actually changed their cortical mapping to increase finger speeds.” This not only increases your fine motor movement, but acts as a light physical therapy, and over time can reduce swelling in your hands and wrists, fight off arthritis, and other degenerative diseases. 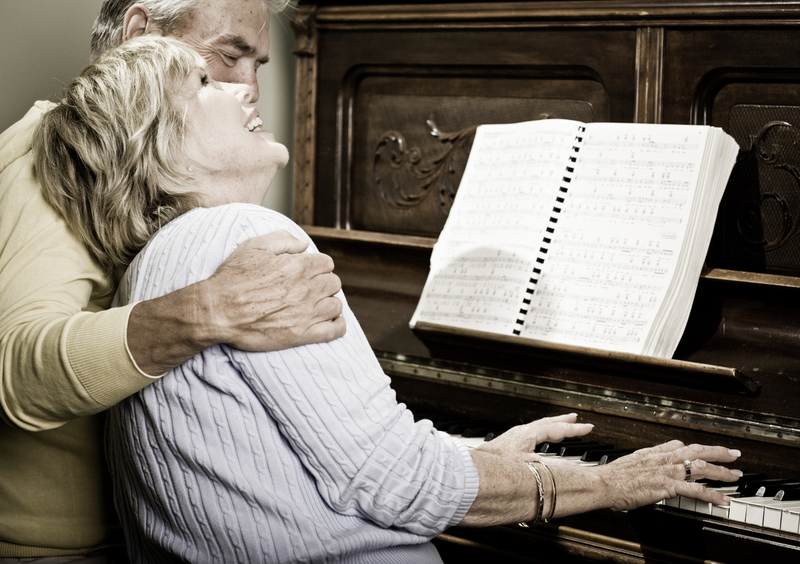 Due to the independent hand movements required to play the piano, older adults have have found an increase in their hand-eye coordination. This is due to the “re-mapping” and the stimulation of several parts of your brain when you are playing the piano. We all carry a bit of stress on our shoulders about one thing or another. This stress can not only have a negative effect on our emotional well being, but our physical well being as well. One major impact it has is on your blood pressure. But you’re in luck! Multiple studies have shown that piano playing helps to drastically reduce stress, which will then have the added benefit of decreasing your blood pressure, and adding to your overall health. I hope this post, and my previous one on how the piano benefits the mind, show you just how amazing the piano is! Sign up for Two FREE Gifts! Stay up-to-date with Scott's FREE bi-monthly Piano Notes newsletter with tips and tricks! books. I play them liberally, giving me extraordinary enjoyment. Each time I play, I seem to “noodle” a bit differently. I look forward to the day that my music playing actually matches what I hear in my head. Great Article. Glad to see so many benifts. To Get The Most Recent Piano Tips and More, Follow Us!